Our feet have 26 bones and 33 joints each. A whopping 25% of our muscles and nerves are dedicated to our feet and ankles. It’s a lot of real estate. The bottoms of our feet have thick layers of connective tissue called fascia (actually, plantar fascia is a misnomer in that its tissues are aponeuroses or broad, flat bands of tendons – but I’ll accept fascia). Fascia responds well to varied movement, or what I now call “movement nutrition.” Most human feet are severely malnourished, some near death. If you are usually wearing shoes, not moving much, and the movements you do make are repetitive and on a flat, hard surfaces, its the equivalent of only ever eating gruel. What is gruel, btw? Over the course of the month, you will learn many exercises that will increase movement nutrition for your feet. Here is one. 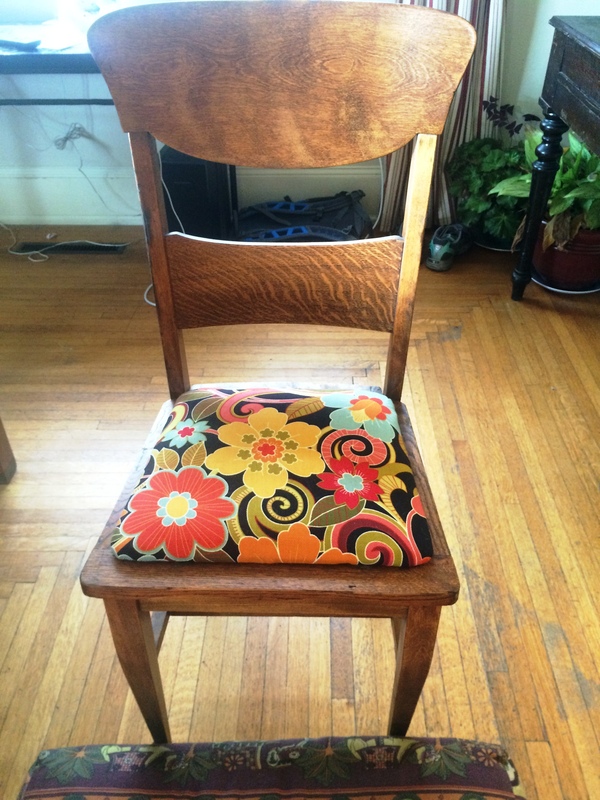 Sit on a chair on your sitting bones (not your tailbone). Place a bolster, cushion, or pillow on the floor under your bare feet. Move your feet in random, weird, playful, freaky, wiggly, and varied ways – the stranger and more surprising the better. 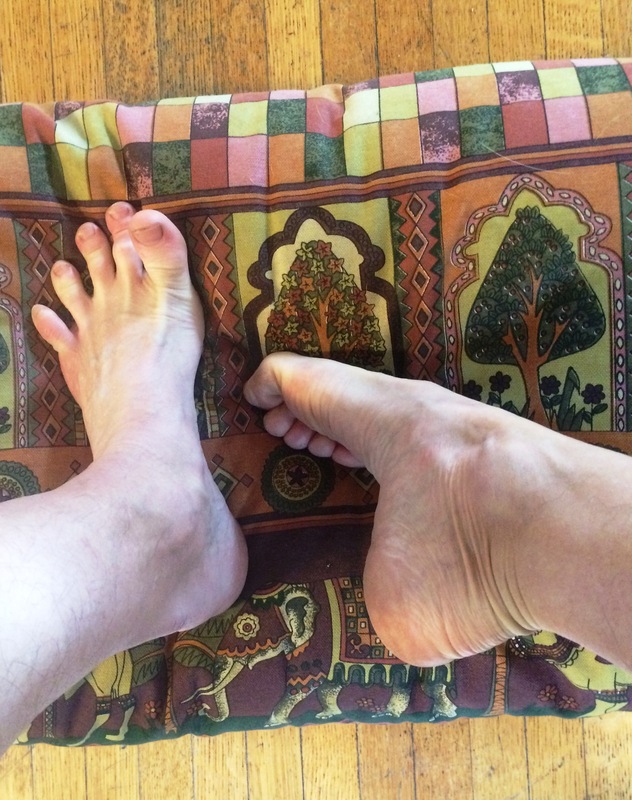 Stretch the tops, bottoms, sides of your feet; contract your soles; flex, extend, spread, and wiggle your toes; press all parts of your feet into the bolster and roll them around in all directions. This is the chair I was sitting in. I include it cause its cool. Do this for at least five minutes. Every day. Namaste. This entry was posted in Feet and tagged foot exercises, foot health, movement nutrition. Bookmark the permalink.